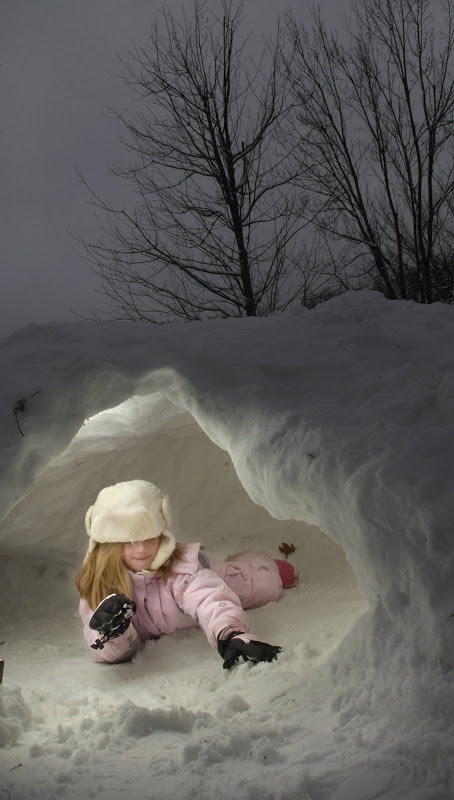 Sydney Riffle, 7, of Belding gets cozy inside a snow cave Saturday at the John Ball Park Zoo during Winterfest 08. Ice sculptures, snow shoeing and behind-the scenes tours were a few of the options for families to take part in during the free event. oh i love this! it feels like it’s out of some children’s story… how did you get that light in there?? I know, *tee hee. I set my SB800 inside her little snow hut with a pocket wizard and let it bounce off the ceiling of snow. I simply want to mention I’m all new to blogging and site-building and seriously loved your blog site. Most likely I’m going to bookmark your blog . You actually come with terrific posts. Thanks a lot for sharing with us your web site.